Congratulations to the Mt. 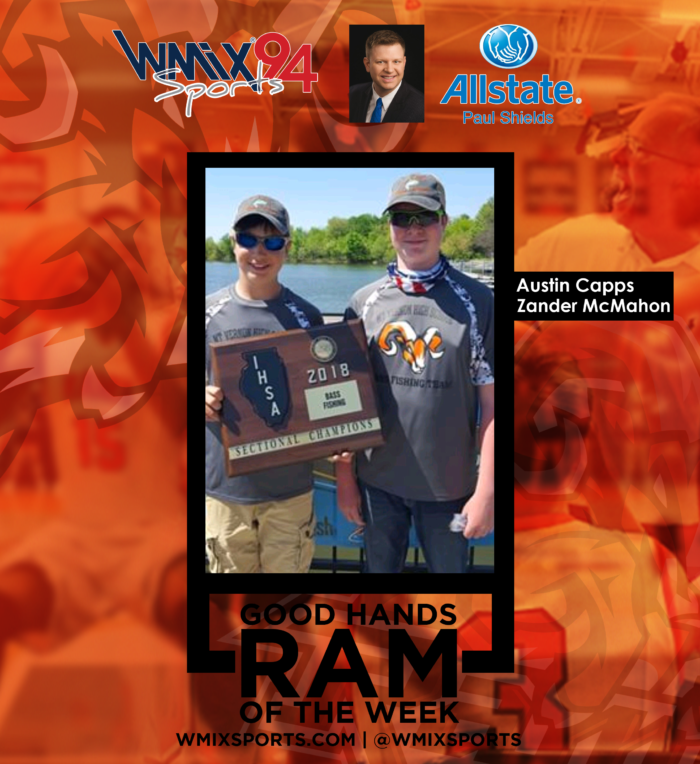 Vernon Rams Austin Capps and Zander McMahon! They’re finished IHSA Sectional Champions at Rend Lake! The duo combined to catch 7 pounds and 13 ounces of bass yesterday at the Rend Lake Sectional.